It's been a week since I've been in this room. I thought I'd better do some cleaning...trying to get back in the mood....and found this card I made back in December. I made this out of my first ever SC kit from a couple months ago. This was actually my first wood veneer card attempt and I was actually sorta scared of these wood things and for the same reason never posted this card. 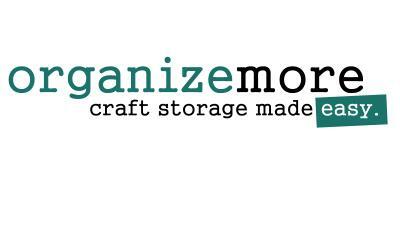 :) Since then, I have shared several creations using wood veneers...I've gotten over the fear and onto being addicted. So I thought I would stop in and share this card. I decided to use some pattern paper in layers again. I only used 3 stamps here too. 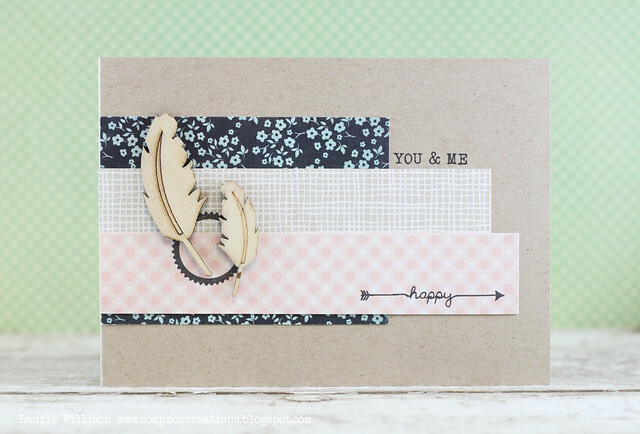 The circle stamp and the happy stamp are from an SC Silhouette class kit and the You & Me stamp is from the SC kit I got in December, along with those fun feathers! I've been thinking a lot about the rule of thirds, which I feel I sort of lean towards anyway. But this card definitely is all about the middle third. Do you have a specific design you lean towards? I'm really liking this card. 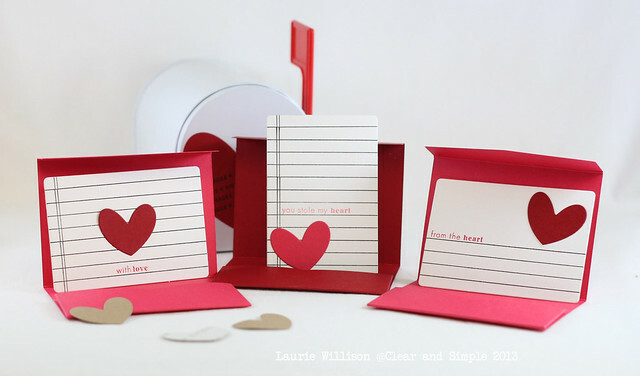 I think its a totally non-trad Valentines day card. I love the soft colors and that BG paper makes me happy! Hope you are having a happy Thursday! I am off to the market for some fruit. I am hooked on smoothies lately. So if you have any fun recipes to share, please do! This one is Strawberries, Banana, Mango, Spinach, Coconut Milk, Flax and Chia Seeds. 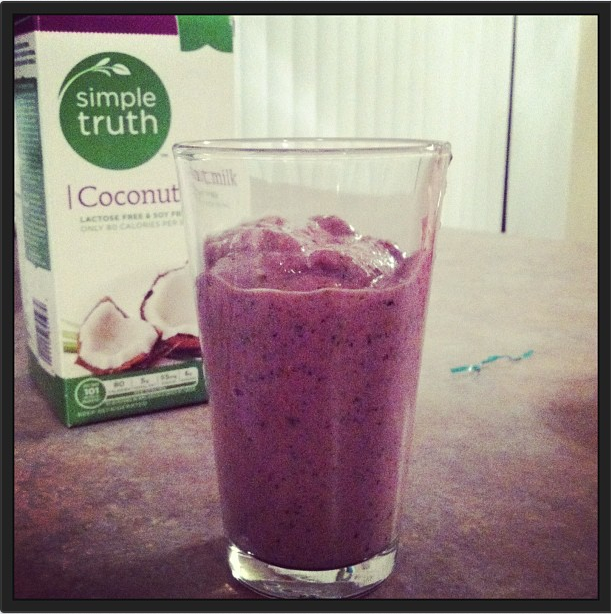 So yummy and no sweeteners added! Alright! Hope you have a great day! 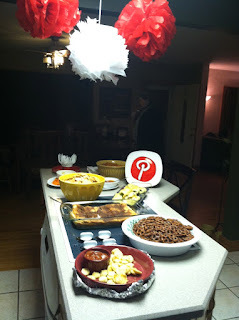 The idea of the party was for everyone to make a Pinterest project and then bring it to share and giveaway. We also brought an Pinterest inspired appetizer for the evening too. First off here are the gift bags, I didn't get a picture close up, but the gift bags say, "I actually made something I pinned on Pinterest." Cute! And the most amazing Sangria...with super cute little mason jar glasses. Sarah used the top part of the mason jar lid for coasters and wrote our names on the lids. Such a good idea! These are my friends Liz and Tris. Tris made this scarf hanger but she even had "prototypes". LOL! All this is is hangers and shower curtain rings! You can see the original site HERE. 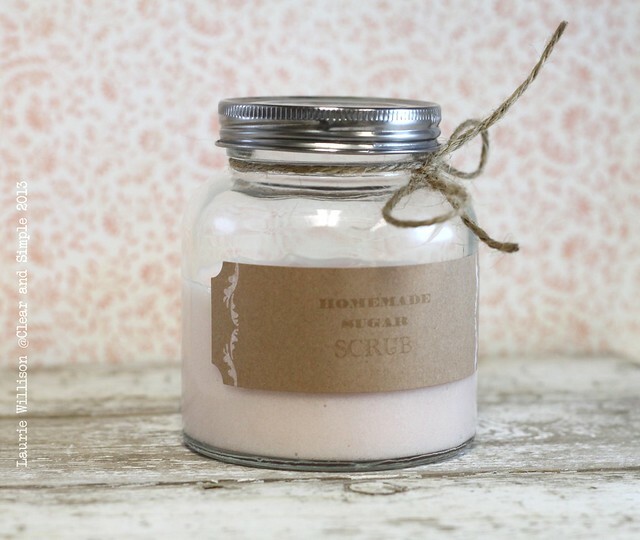 Handmade Sugar Scrub. I should actually call it a handwashing scrub because it has dawn Dish soap in in. But it's the kind with Oil of Olay, so when you are done using it....your hands feel AMAZING! The best part? Its just sugar and Dawn Dish Soap. SO insanely easy to make and mass produce. You can find the original idea HERE. 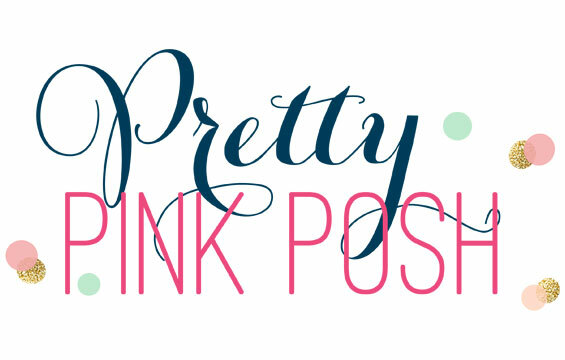 (Amy has such a fun blog! 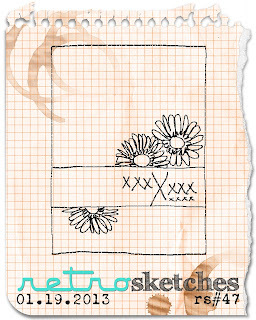 Lots of cute ideas!) 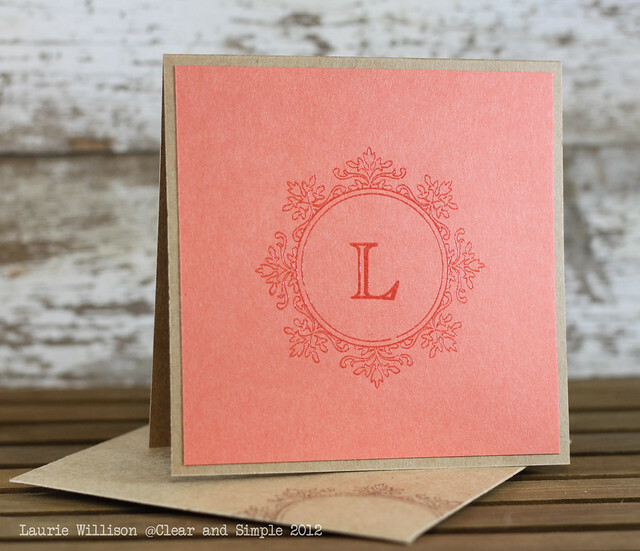 I made the label using a Martha Stewart Kraft Label and then the stamps from Al Naturel Extras from Clear and Simple. OH and that jar is from Hobby Lobby! 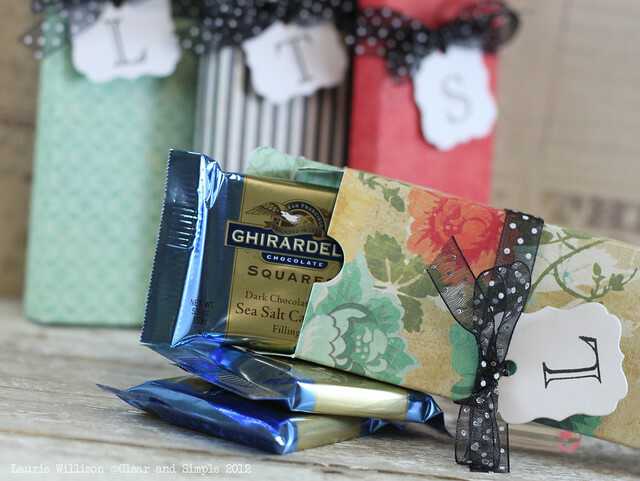 This is really an expensive gift or party favor! I have some fun little CSS Love Notes to share today. I've used some new goodies from Collection 6. 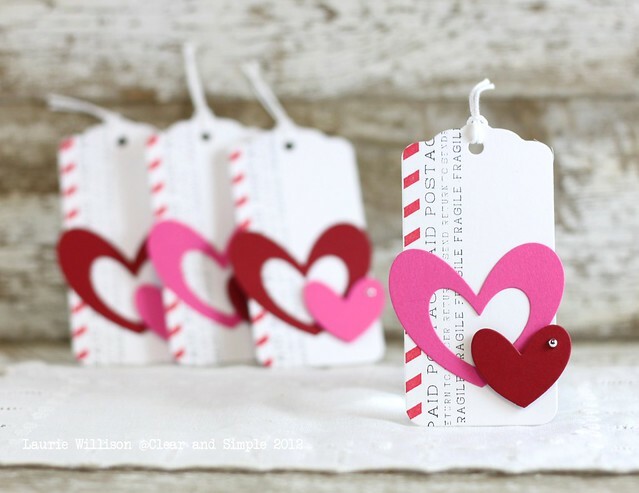 Using the heart dies, I cut out dies from the Martha Stewart Kraft labels. 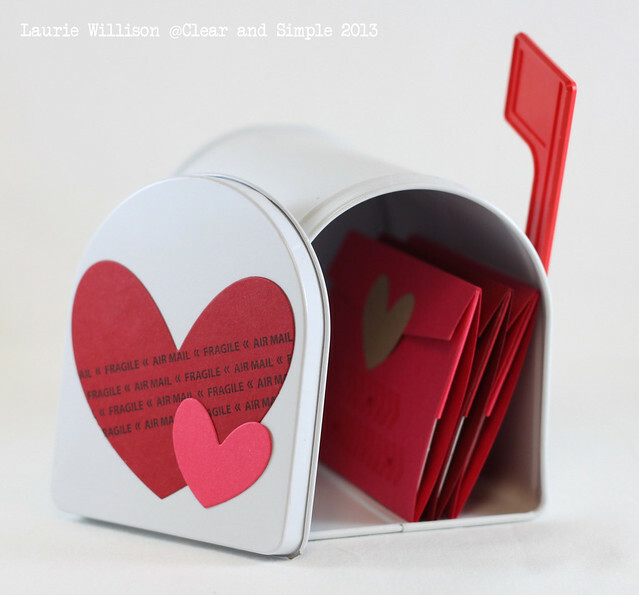 I decorated the front of the mailbox with the Heart Dies and a fun image from the Airmail set, as well. Check out the rest of the girls and the Love Notes they have created. Thanks for stopping in today! Everything you see here is from the SSS kit. 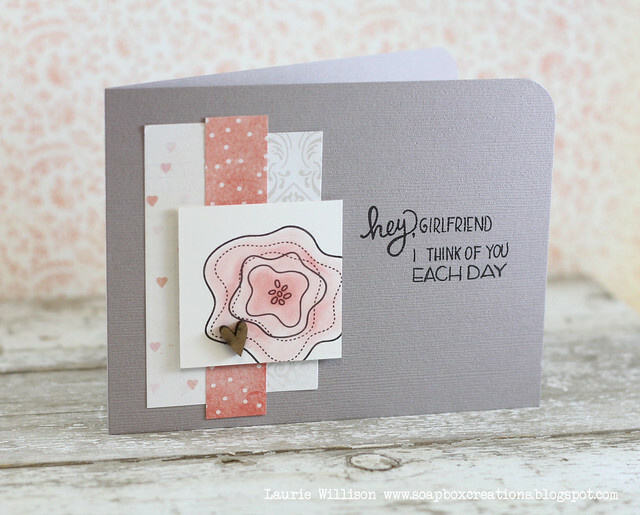 I stamped the flower on the white card stock and then used some Pebbles chalks for the coloring. I added in 3 strips of paper for the background element. I added in a wood heart that came in the kit....LOVE. 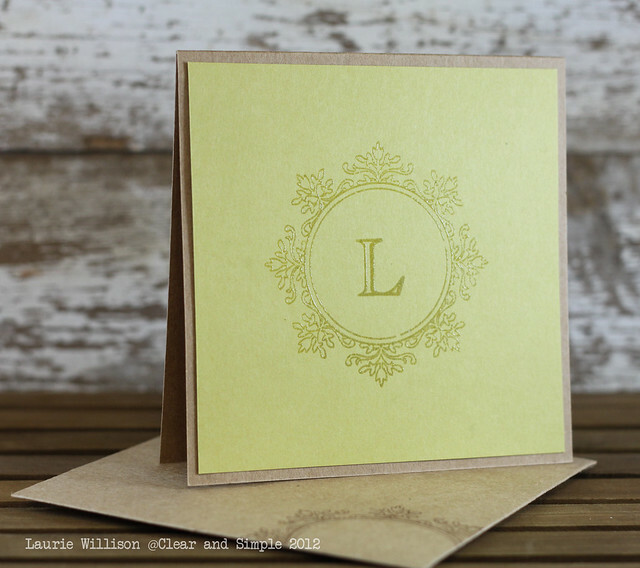 And the sentiment is 2 combined, from the set included. I hope you get to play along this week! Go check out the DT cards and link up your own! Thanks for stopping in! 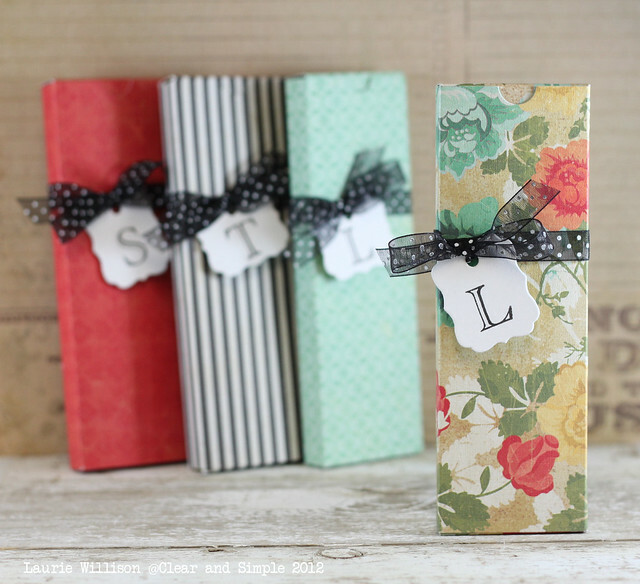 I personalized each box with a monogramed tag, using Alpha Engraved alphabet set and the new Mini Label Tags. I finished them off by tying the tags with a little sheer ribbon. Super easy to put together! Now wouldn't you love to have these at your party? 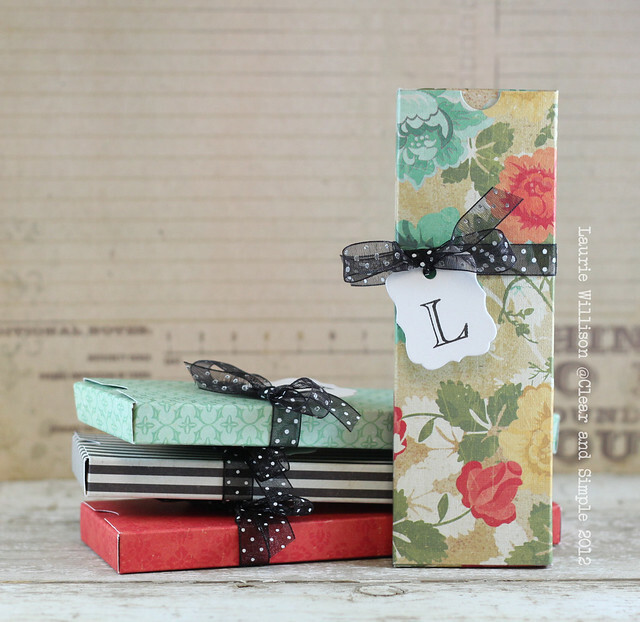 You can find this amazing box die HERE. A few other CSS girls have fun stuff to share today too! 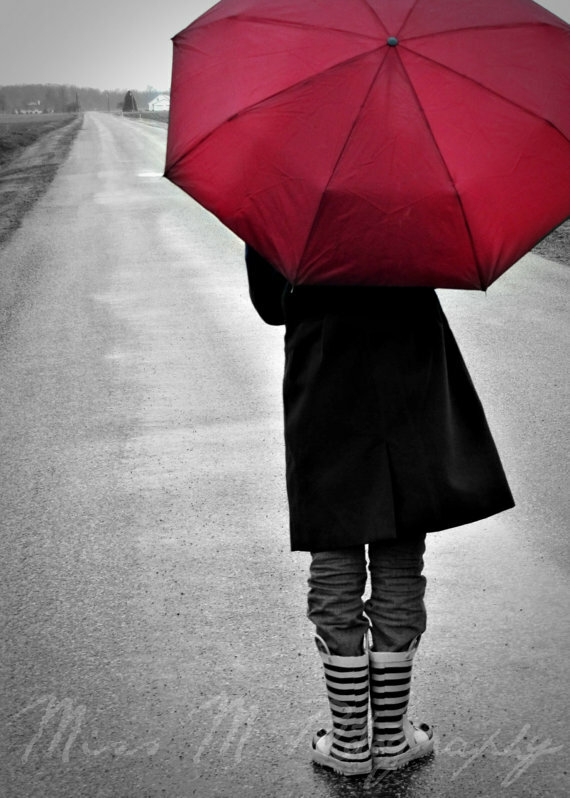 Here is a list of inspiration to check out! Hey there! I am here super late today! I thought the stomach bug had left our house, but it hit again last night! Poor kiddos. Luckily, they are a little better this afternoon and are even outside for a little bit. It is GORGEOUS here for January! It make me want Spring to get here. Like now. So I used some PTI goodies for this card. The stamps are all from With All my Heart and then I had to dust of that sheet music embossing plate. 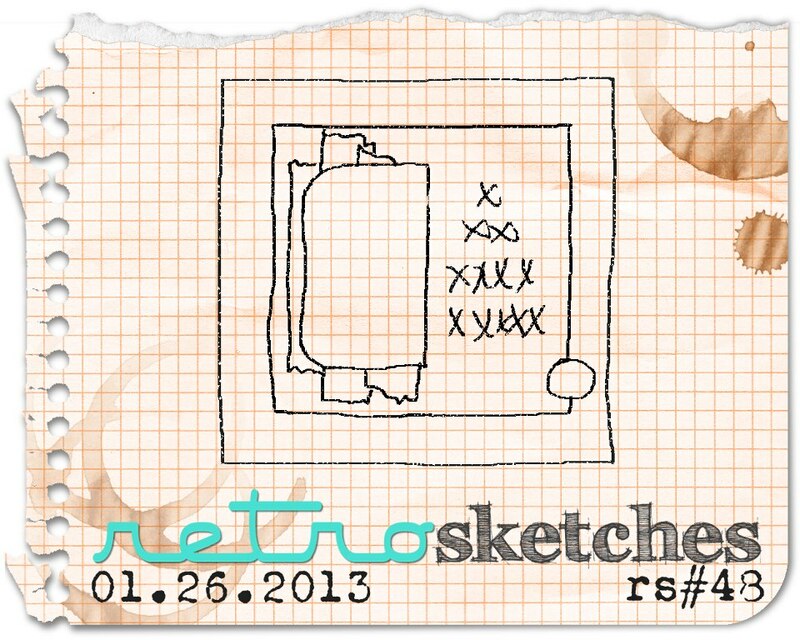 The original card is from Jen and you can check it out HERE. She is an amazing card maker! You will have to go check it out! The other girls already have their cards up today but you can play along over at the Retro Sketches blog. Thanks for stopping in today! Yep, that's right! I'm in love with todays' release from Clear and Simple. 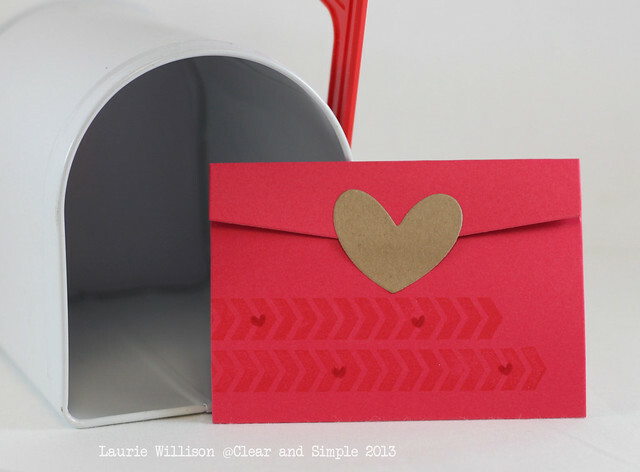 There is a new stamp set called Airmail...it's pretty fabulous. I have some random projects here to share and then you must go and check out the other DT creations. They are fabulous! I will add in their links at the bottom of this post. 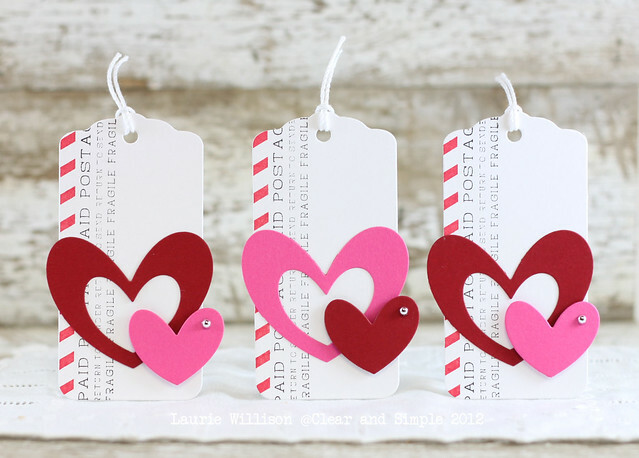 I stamped 2 of the new images in the background of each tag and then added in the hearts and their die cut middles, to each tag. Then, or course, I had to top them off with a silver pearl. I have one more card to share using another of the background in the Airmail set. 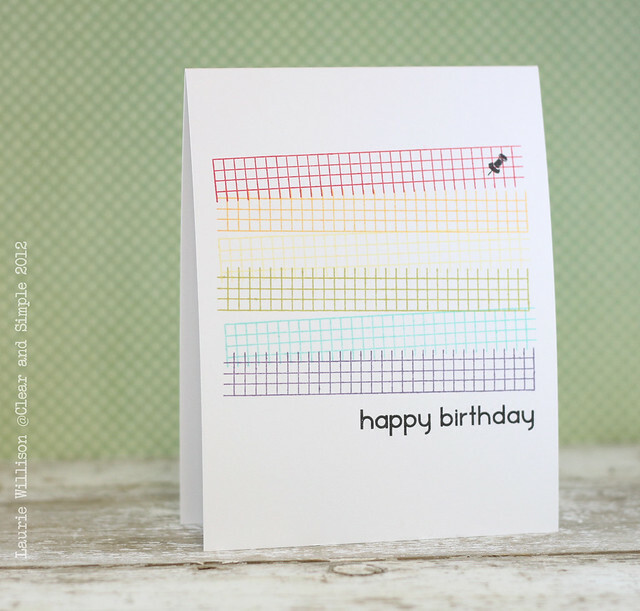 I layered up this image in a rainbow pattern for a CAS birthday card. The sentiment is from A Guy Thing. 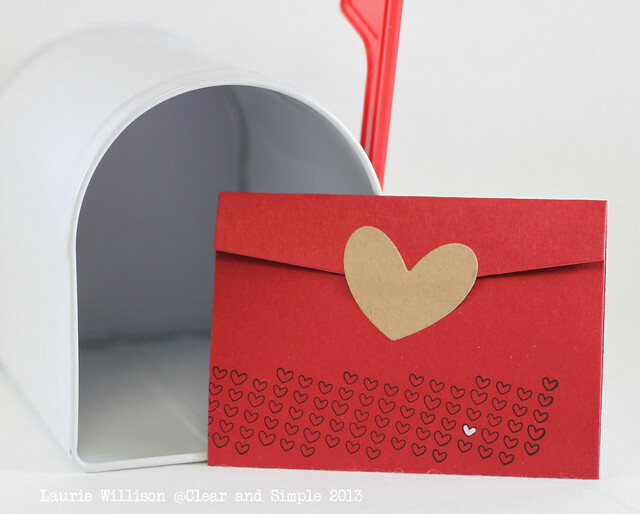 That cute little pin image is from this new Airmail set too! So that's all I have for today! Don't forget to go and peek at these links below. These girls have some amazing things to share! I stamped the wood background from CSS's Background Basics 1. I love this stamp because the long edges are finished and I thought it looked fun in just one strip. 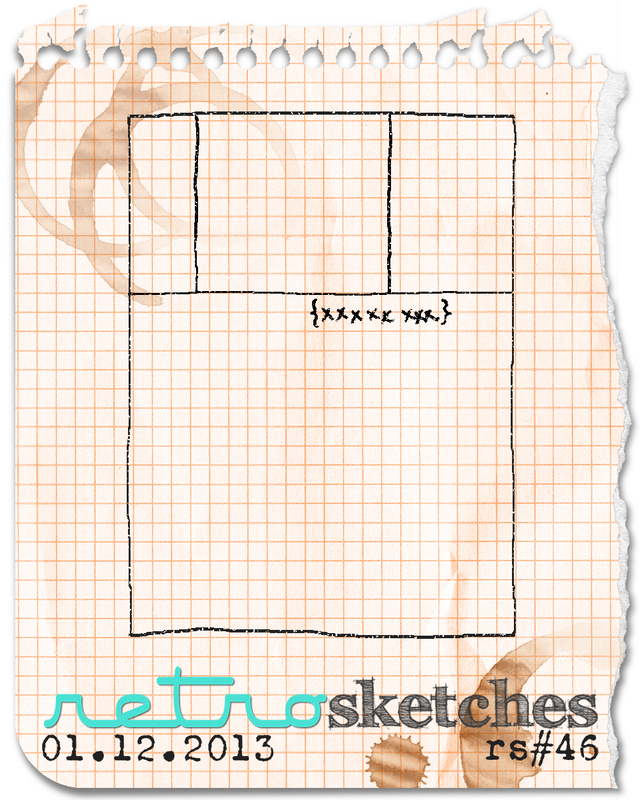 (At the same time it is so easy to make a full background with this image.) Then I added in an SC sentiment from a class kit I got recently. I taped down the heart with ATG. It's nice because the clear tape rolls off the edges and you can't see it peaking out on the card front. I stamped a tiny little "love" from a CSS sentiment...fit perfectly on the veneer. The I had to finish it off with 2 silver pearls. My card front is 4 x 5 1/4" and I popped that up on foam tape on the card base. I'm thinking this might get mass produced. Easy and so fun! Have you seen the CAS-ual Fridays release this week? 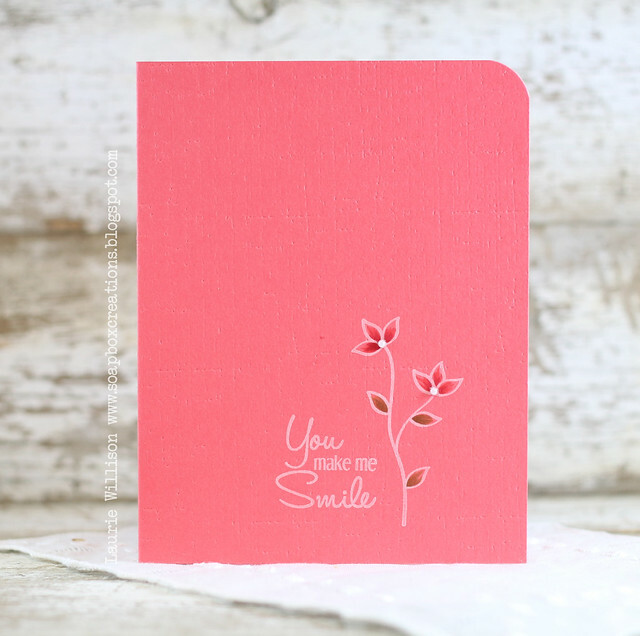 Check out the CAS-ual Fridays Stamps blog to see everything that is coming out! Fun!! Alright, time to go play trains with B. He is standing here asking so sweet and how can I say no to him? :) Have a great day! Hey there! 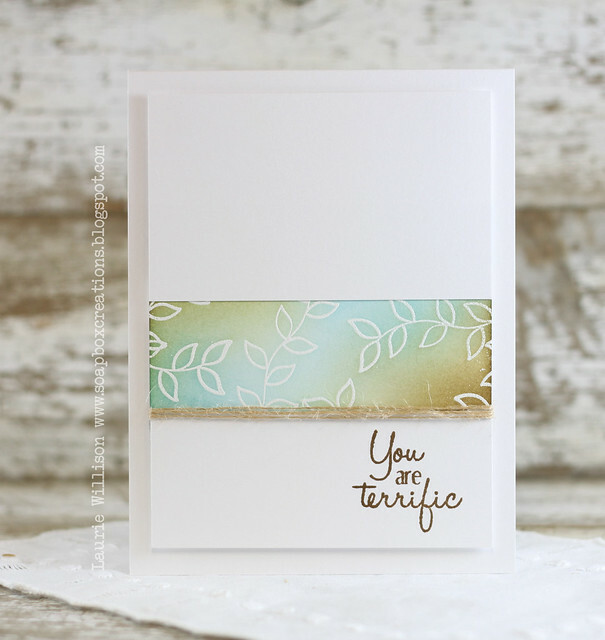 I have a couple cards to share today for the new CAS-ual Fridays release! Today's set is called Casual Elegance and it is full of amazing sentiments and gorgeous leaves. For this first card, I stamped everything in PTI's Fresh Snow ink and the colored in the petals and leaves with Copics. I ran it through with the Linen impression plate for some texture and then added in some pearls to finish it off. 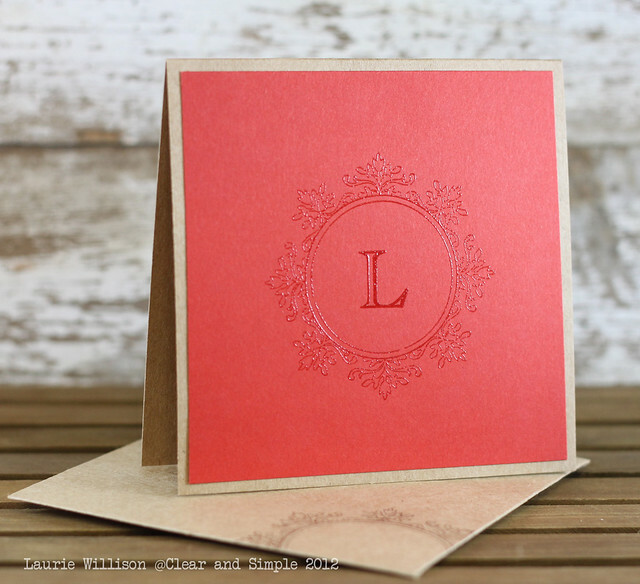 I embossed the leaves in white embossing powder and then added in some distress inks. I added the panel to the white card front and then popped that up with foam tape. 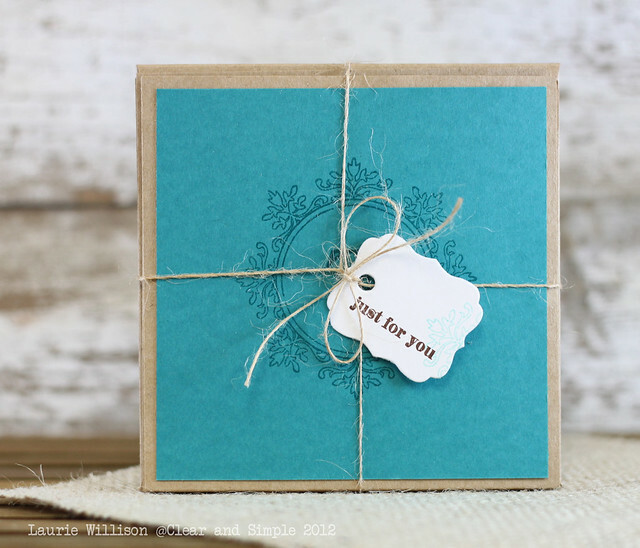 A little twine and a fun sentiment and that's it! 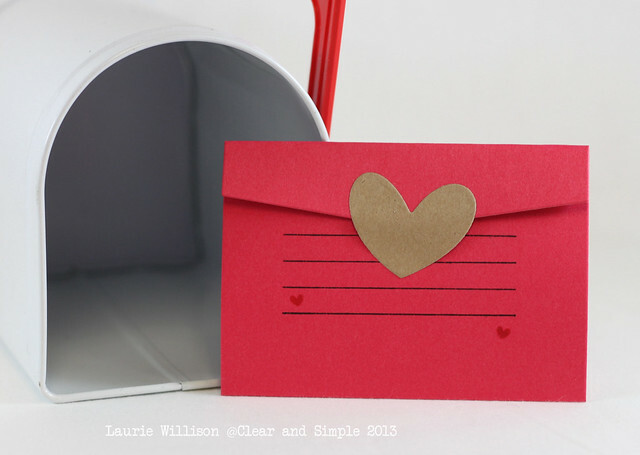 I know there is much more to see over at the CAS-ual Fridays Stamps blog. Stop over at see what the other girls have cooked up for today! I'm here with some fun news today. There is a new challenge blog coming your way very soon. 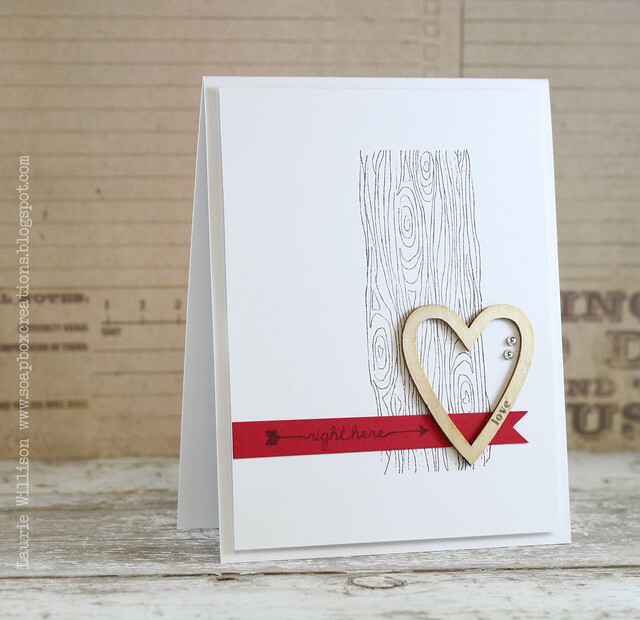 Jackie has created a new card making club that you won't want to miss! It's called Muse. First thing you will want to do is head over to the Muse blog to read all about it. Then grab your Muse badge and watch for a new post coming up soon from a fabulous guest designer. And then get ready to play along! This is my second post today! 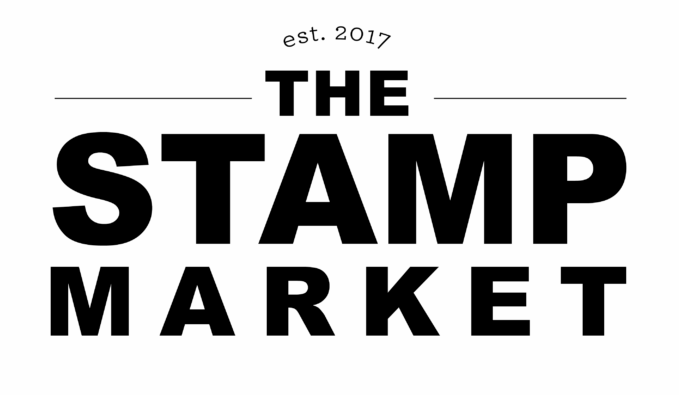 Scroll down for a Clear and Simple stamps post! I used some CSS goodies for this card. The Medallions are from a new set released today. 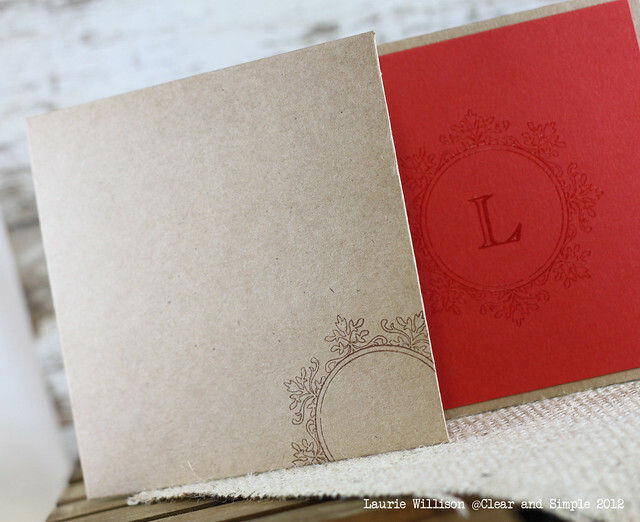 I stamped some Quotes II in the background and then layered up some coordinating colors. I finished it off with a sentiment from CSS's Flowers set. Check out what the rest of the DT has for you today by clicking HERE! And I hope you get a chance to play along! Thanks for stopping by! Today the Clear and Simple DT is showcasing the items for Week 2 of the Collection 6 release. 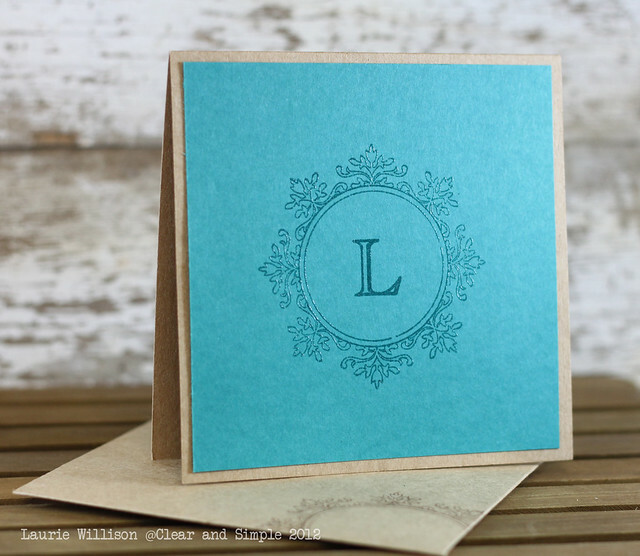 I have a fun little embossed and monogrammed card set to share...with lots of pics! 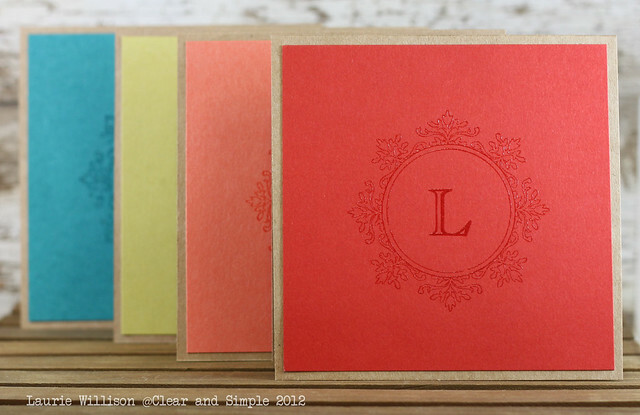 :) I am also posting a link to each new card stock color, below each card. 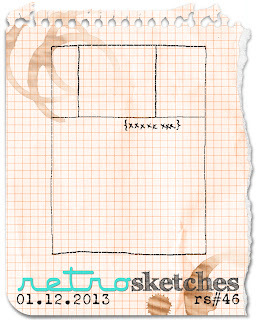 I simply stamped one medailion in brown ink on the corner of the kraft envelope. 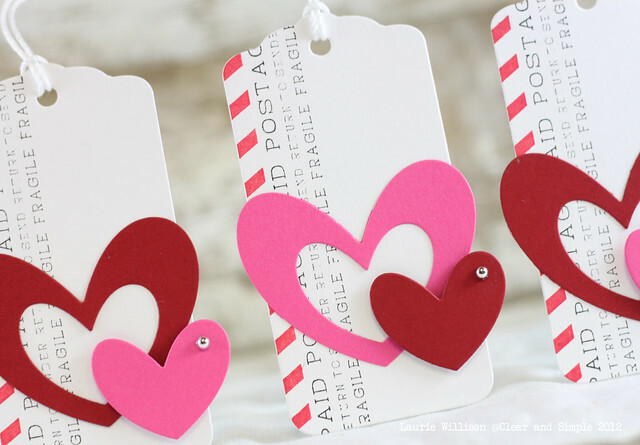 To make it a set, I tied it up with twine and added a tag from the new Mini Label Tag dies. I think this will make a fun little gift. Lots more to see of Collection 6. Here is a list of links to check out! So glad you could come by today!